This week has been a week of celebrations. First of all it was Samoan Language week and to celebrate I highlighted the event at my school. The theme for ‘Le Gagana Samoa’ was “Tautua nei mo sou manuia a taeao” -“Serve now for a better tomorrow.” The theme also aligns with Newmarket School’s Historic Motto of ‘ Not self but service and with my favourite Samoan saying, ‘O le ala o le pule o le Tautua’ meaning ‘The path to leadership is through service.’ I loved the theme because it aligns well with my personal inquiry. That is growing Teacher Leadership. One way I know that teachers can grow leadership is by sharing their learning. The term ‘professional learning community’ is one that implies a commitment of teacher sharing and also the expectation of collaboration and I will share more on collaboration in this post. On the first day I wore my puletasi and many children commented on how beautiful I looked and asked why was I wearing my dress. An event like ‘Samoan Language Week’ opens dialogue so I explained why I was wearing my national costume. In Samoa though I would not have worn my long johns underneath but the day in Auckland was freezing. Te Ako Kowhai invited me to share how to say ‘Hello’ in Samoan and so I did and for the rest of the week the children would come up and greet me in Samoan. Online I shared a little about my culture and my language and made connections with other Samoans too virtually. I give a shoutout here to @AndreaDesForges. She put together the fab video on her teams site about Samoan Language Week. I would love to take credit for the song. However it is all the effort from Te Ako Kowhai. 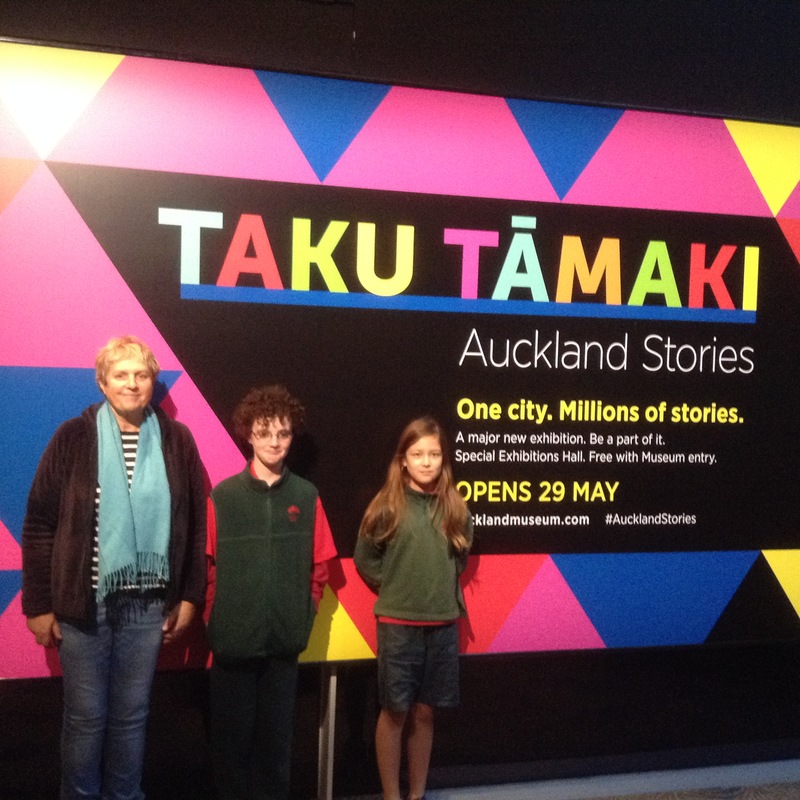 On this first day too I was invited to attend the celebration of Taku Tāmaki or Auckland Stories where several of our children had taken part in the display for Auckland Museum to celebrate 175 years. I went along with Belinda from school because two of her students had been selected from 134 children throughout Auckland to have their story created into a movie. While we were looking at the displays, I saw many of our other children who had taken part in a variety of ways and were featured in the overall display too. I had gone with Belinda as a support person because she is an amazing teacher and because she has been visibly stepping out of her comfort zone and trialling many new innovative ideas in her teaching this year and reflecting on them with her usual critical thinking. Soon after that evening her students Monty and Abigail were on national television and shared their story. On Tuesday Wendy, Waveney and I attended the Auckland Rotary get together at AUT to view their 3Dprinter and to have a look around the engineering department. We were asked by Rotary Newmarket to share our journey and Waveney and I co-presented a Pecha Kucha that you can view here. I have been working with Waveney and guiding her as she learns how to use the 3Dprinter with her class. I have been particularly excited at the way she has been using Edmodo as a reflective writing tool with her children. The children learn how to use the 3Dprinter and as they move through the process from design to creation, they have been reflecting on the process. Waveney has also been building an online community and learning how to harness the power of collaborative learning to guide her. I know that one big learning for her has been co-construction and she has taken this on board with great enthusiasm and was able to transfer this knowledge to her class because they are co-constructing designs for 3D printing. I am particularly excited by this shift and can’t wait to see the designs in reality. 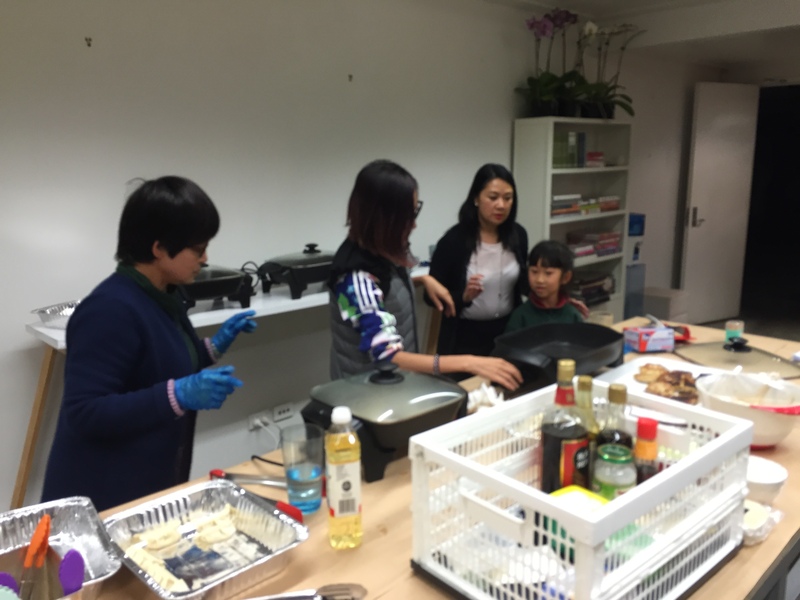 I agreed to attend our PTFA fundraiser where tickets had been sold and one of our parents showed us how to make dumplings. I love these events as it gives me a chance to chat with our parents and make connections. This nights event also gave me the chance to eat home made Chinese dumplings which I love. Mrs Li, one of our grandmothers, gave instructions on how to make the dumpling and of course I had a try at making dumplings and had her grand daughter show me how. Virginia and several other staff members were there too. I watched Virginia help with the cooking and Mrs Li chatted to her in Mandarin. Virginia is a fluent Cantonese speaker and understands some Mandarin so it was great to watch her make connections with the parents running the event. 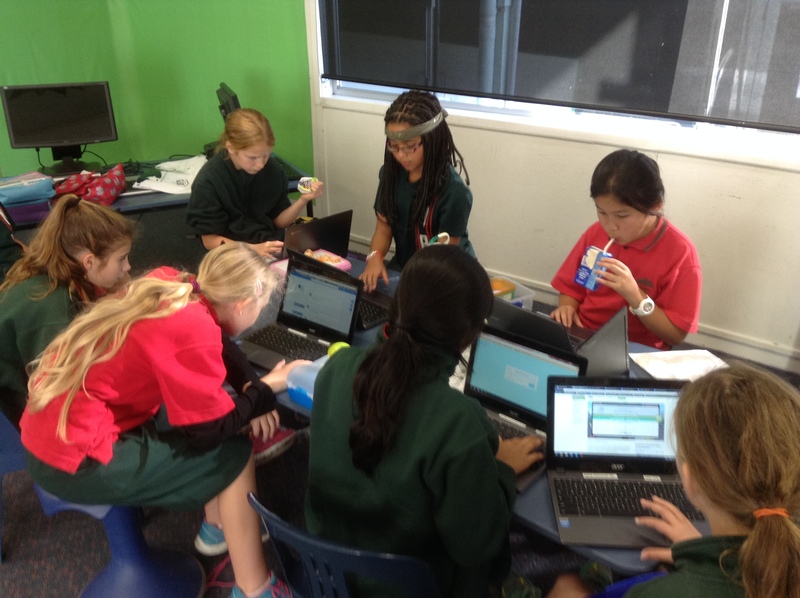 Virginia is another teacher who has been embracing technology to reflect on her learning in a visible way through her blog. You can read what she had to say here about the community evening. I give a shout out to Davina who has a flower shop called Vida Flores. Its parents like her who are incredibly supportive to us as a school and the event was hosted there. My Travelwise team met and finalised their contribution for our Global Project. I was really excited to see how the project was finally coming together. You can read a little more about the project here. The children took a screen dump and they will write a summary as they prepare to share their learning via voice thread. I have loved being part of ‘The week in the life project’ spearheaded by Julie Lindsay as I have been working collaboratively with teachers and children globally. My biggest learning has been using Edmodo and how to use this tool for reflection with the children. From my own learning, our teachers have benefitted too as I have introduced them to Edmodo and have watched in delight and amazement at the way they have used the tool like a reflection forum. On Friday I was in and out of Te Ako Kahikatea as they worked on their discovery learning. I love the way the teachers have worked collaboratively to create Discovery Friday. They have set up the system so that the children are guided to direct their own learning. The teachers have moved cautiously, innovatively and creatively with input from the children. They have conducted research about the process and then adapted it to their own learning and skills. The teachers have front loaded a variety of ideas to give the children a taste of the process and are now at the stage where the children will take a passion and use it to frame their learning. The day I watched, I saw Belinda have the students create a soundscape to go with an image. She used Garageband. Anna has been pushing her own learning with the children and they are exploring google sites because she quickly discovered that slides does not have enough space to share a full curation of the children’s learning. Veni has been exploring slides and created an artefact to support the children’s learning. As these teachers have a few technical hitches I am called to offer guidance and support them with just in time learning. This is the learning I know is the most effective. ‘Don’t tell me what I don’t need but be there when I have a question.’ If our Newmarket School teacher’s read this, just a reminder about blogging about the process of learning. I watch Discovery Friday learning space with great interest. One teacher who has taken blogger on board to curate learning has been Eilleen. 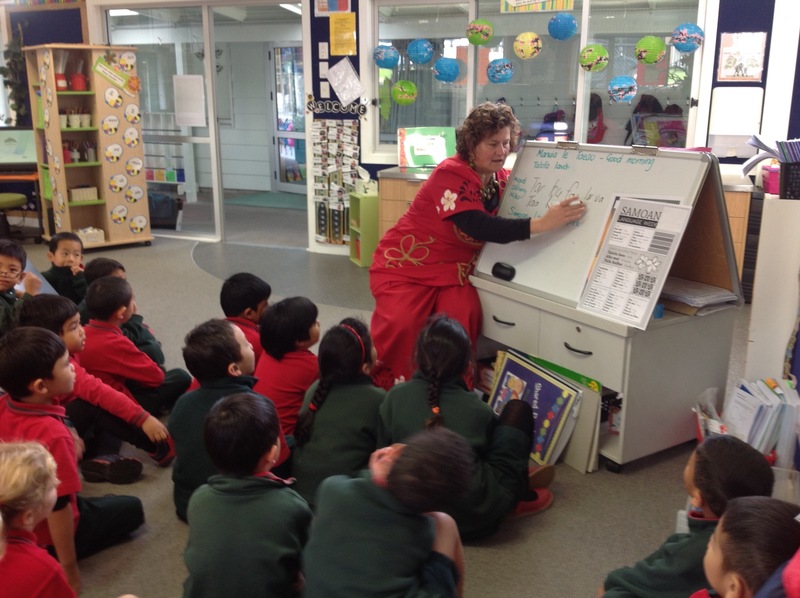 She oversees our Maori learners and our Maori Learning. She also oversees our Student Leadership project. I have been excited to see her implement the many lessons I have had with her in regards to blogging, youtube and twitter. Together we have worked collaboratively to co-construct both learning sites. She has taken on board suggestions and I have been thrilled with the results. I am able to see at a glance where all our children are at in the different activities and even more exciting is seeing the learning artefacts developing. In addition the children have been reflecting on Edmodo and their teachers are giving them feedback. Eilleen often sits with me for a korero about what she has been up on the sites and we chat about some ideas about where to next. I believe that with the teachers embracing technology and in particular to provide opportunities for collaboration, co-construction and for reflection our children’s learning benefits. I have watched our teacher’s progress in making their own learning visible. When they talk to me about creating a site with the children, I say, ‘Show me your site’. When they talk about creating a video with the children I say, ‘Show me your video.’ When they talk about using Edmodo for reflection and feedback I say, ‘Show me your reflection and feedback.’ This year, I have stood back much more and watched and prodded where I can. When they come to me for just in time learning I ask, ‘Who have you asked before me?’ Probably the biggest change I have made is to make all their learning as visible as I can. This can be seen on our teacher blogsite which has RSS feeds from all their blogs and online activity. I have just added a twitter feed too. I think this has enabled the greatest shift in our growth mindset than anything I have previously undertaken. I linked the teacher blog to our staff site that has all planning visible across the school. Both sites are developing and evolving and proving to be highly successful at making our learning, as a staff, visible. I continually use SOLO to frame my understanding and I can see our teachers shifting from making connections online to begin to collaborate for their learning. Last year I encouraged them to create accounts in online spaces and made this visible. From those connections I have seen a shift from lurking and observing to online discussion happening in visible ways. If you follow our twitter stream of #NPSfab you can see this happening. I have also seen a gradual uptake of visible reflections both from their personal blogs and from their team blogs. By monitoring the RSS feeds I can pop in and give feedback and feedforward on their reflections. I also send an email out to all staff when the site updates with staff presenting their learning. As much as I am able I support learning by creating and maintaining the hidden infrastructure that enables learning to take place for staff and students. I mentor them in building their own learning communities by encouraging and celebrating each step that they take. I am their biggest voice and their biggest fan. How do you grow Teacher Leadership? How far are you in your own journey to make your own learning visible? Have you tried any co-constructed online activities with educators outside your school bubble? Do share and tag me on twitter. Indeed a busy week! But how much amazing learning and professional development is going on @newmarketschool at the moment. The thing that you fail to mention (because you are modest) is that without you…we wouldn’t be pushed and mentored in the right direction. NPS is going through exciting times and it is exciting to work with people like you @vanschaijik who have such a #growthmindset and forward thinking attitude to learning, teaching and professional development! Sonya when I read your post it is evident that you have framed your thinking using SOLO Taxonomy, you have outlined “What you have learnt ? How is it going? and What do I do next? In this case you have described the process, what you learnt from each event in depth that was celebrated whether it was supporting, mentoring or displaying leadership. In your blog “ Teacher Leadership and Celebration” you outlined the strengths and weaknesses of your own thinking and have reflected about what you will do next – next steps in relation to your understanding and how you can support others. Your thinking and understanding is definitely Extended Abstract! Thanks Ginny. True praise from one of my SOLO mentors.